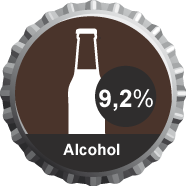 Triple beers traditionally contain more malt, and are therefore stronger. 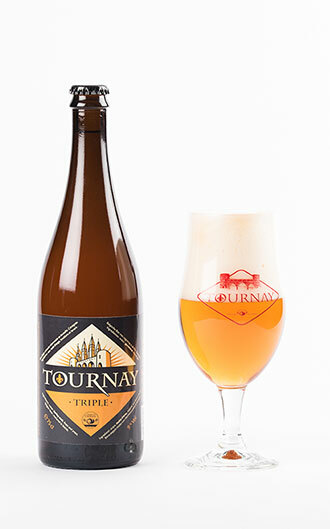 But the original idea behind Tournay Triple was to produce a very hopped beer rather than a strong one. 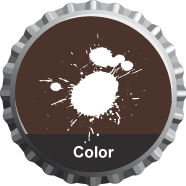 When creating all our beers, we want to preserve a balance between the tastes and to ensure that each ingredient can be expressed without crushing the others. 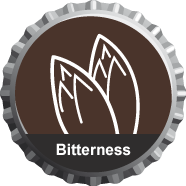 To respond to the bitterness of the hops, we therefore had to brew a solidly-built beer, whence the choice of a high alcohol content (more than 9% ABV). 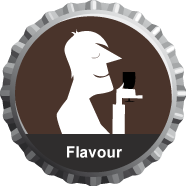 Although we had quickly succumbed to the very particular flavours of the New Zealand hop, Nelson Sauvin, many tests were necessary to find the right marriage with other hops, including the English Fuggles, and Cascade, which is the hallmark of all our beers except for Saison. The perfecting of our Triple was therefore a labour of Hercules but it was well worth the trouble! 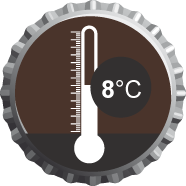 Ideally to be drunk at a temperature between 8 and 10°C. Average bitterness – 60 EBU. Tournay Triple has a lovely aroma of hops and a taste of grapefruit and white grape in the mouth: it leaves a much hopped after-taste. 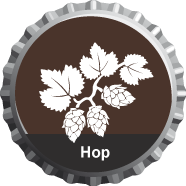 Four hops are used for Tournay Triple: Northern Brewer, Fuggles, Cascade, and Nelson Sauvin. 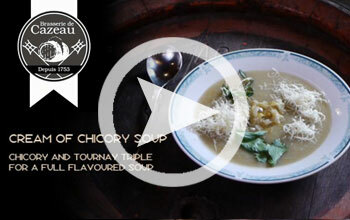 Discover how our chief prepares a divine cream of chicory soup with the flavour of our famous Tournay Triple. An excellent starter for beginning a meal well.